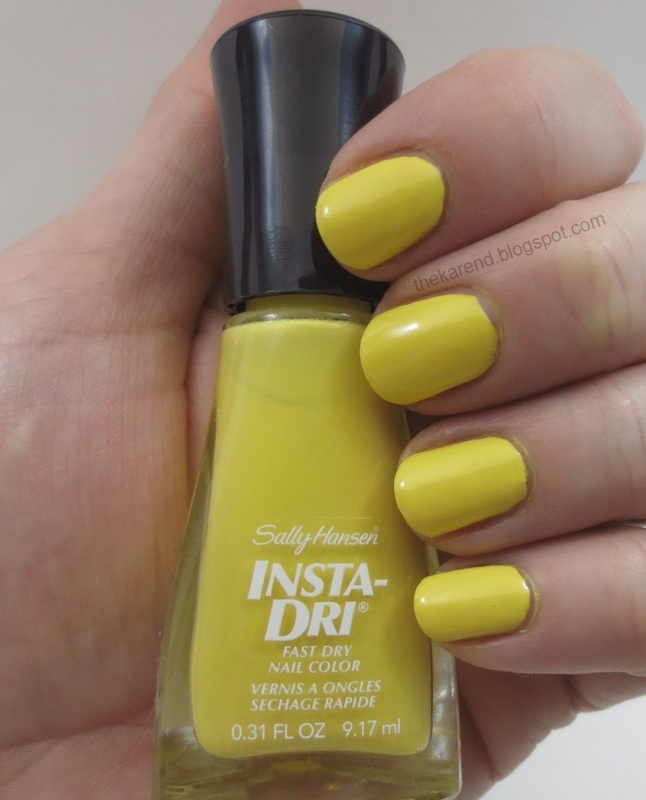 One of the things I shared in my last display post was the Sally Hansen display with the latest Insta Dri colors. The display says both "Color Vibrations" and "Kaleidescope" on it; it also says "Limited Edition" so I thought I should swatch these sooner rather than later before they disappear. I also thought playing with some bright colors was just the thing to cheer me up here in the dregs of Michigan winter, when it's dreary and pretty much everyone is sick of snow and ice and cold. The six shades are: Dreamsicle, Glow With It, In the Groove, Revobluetion, Purpelling, and Love Train. Most of these are cremes. Glow With It is the exception; it's a subtle shimmer. I wore the three hues from the cool side of the color wheel all together. (And yeah, I'm sporting shorties once again; I just can't seem to keep Mr. Peelies away for long.) 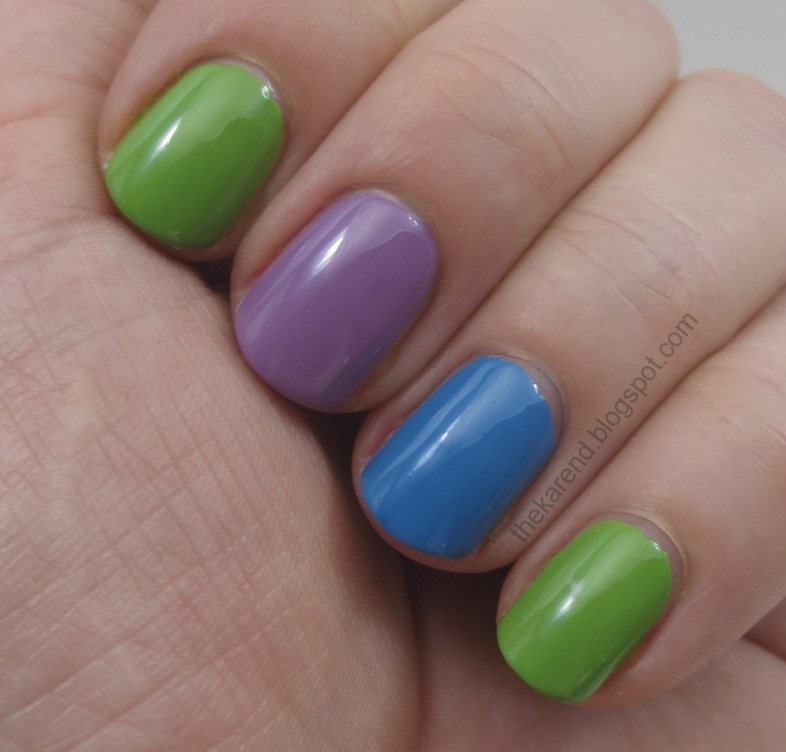 Love Train is a bright Spring green. Purpelling is a medium purple; this leans slightly more toward red than blue. Revobluetion is a vibrant blue, what I'd call deep sky blue (not green-leaning enough to be turquoise). All of these were two coats, though if I'd worn base coat to smooth my ridges maybe I could have done one, as they are quite pigmented (especially the blue). I paired up Dreamsicle, a yellow orange that is quite remisiscent of the frozen treat of the same name, with Love Train, a medium pink that pulls ever so slightly purple, at least on me. These were two coats as well. Glow With It, a lemony yellow, got my whole hand to itself. This was a three coater, which surprised me not at all since yellows are notoriously tricky. Isn't that pretty? Shame it's so incredibly shy on the nails. Maybe the next time we have sun here I'll pull it out and see if that's the trick to get it to show up, as I had no luck indoors, even with the direct light setup that usually works to pull out shimmer. But never mind, I distracted myself from the shimmer issue by playing with my dotting tools and adding a rainbow across the top of Glow With It. 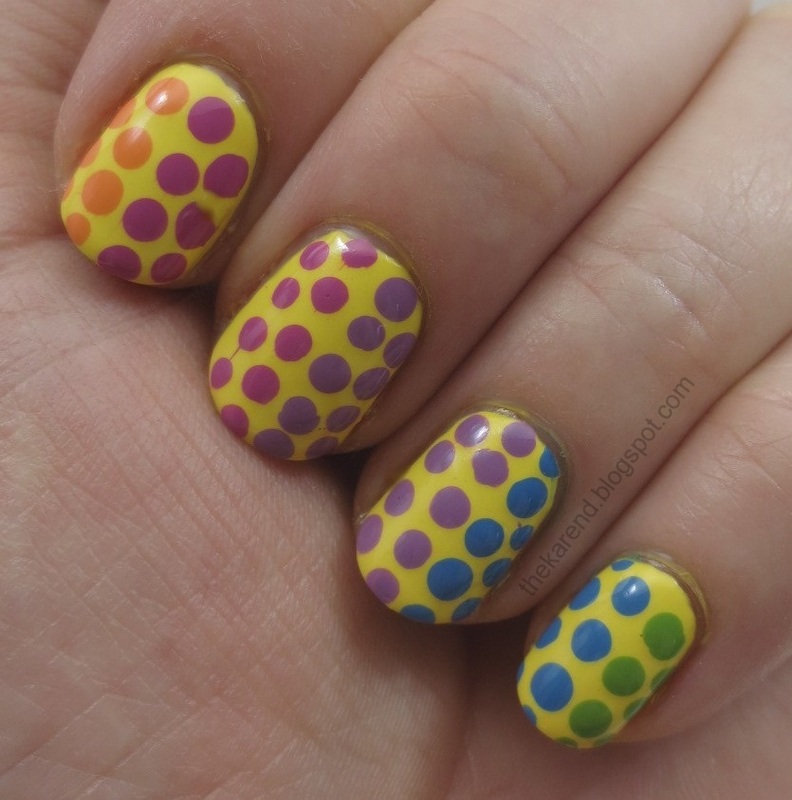 Some of my dots got a little wonky but I could overlook that due to the overall happiness factor of all these bright colors together. There's nothing revolutionary here but they are nice spring/summer basics and I bet most of them will be good for stamping. Someday I'll stamp again. Pretty! I hear you about the peelies. I started using Essie "help me grow" base coat, Ithink it's called? It has helped A LOT, and I think the peel-inclined part of my nails is almost grown out and do it should be even better soon. I wanted a polish that was the "radiant orchid" ish color, and I almost picked up Love Train. I decided to go with SH CSM in Punch Drunk instead, and I adore it! Cute manicure! Dots looking adorable! Love this collection! I like, a lot, every single shade. 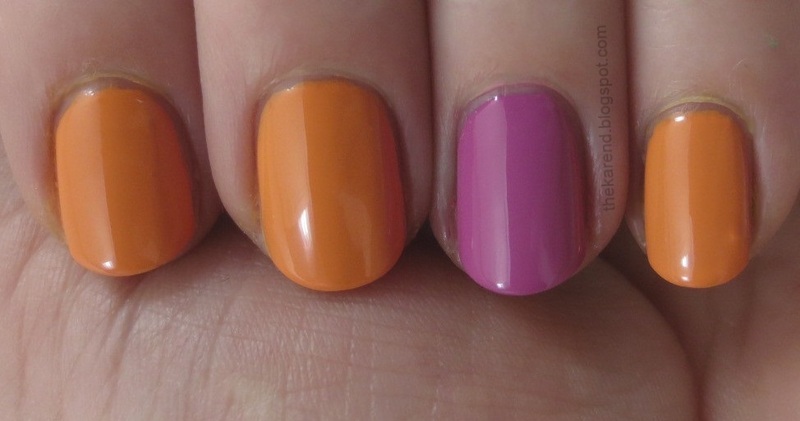 My favourite shade is Dreamsicle, it's such a bright and beautiful orange! I've been waiting for these to show up here! 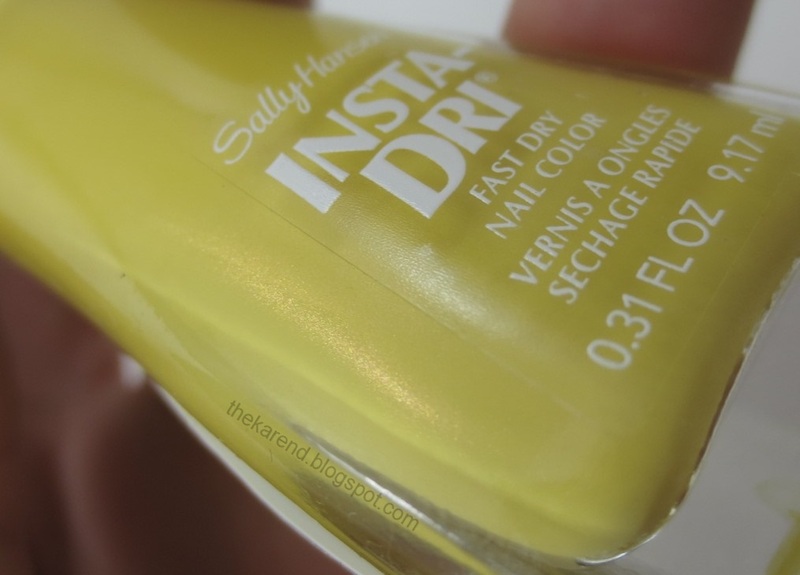 It's frustrating when the shimmer is in the bottle but doesn't show up on your nails! LOL shimmers sometimes refuse to leave the bottle - they are so naughty!!! 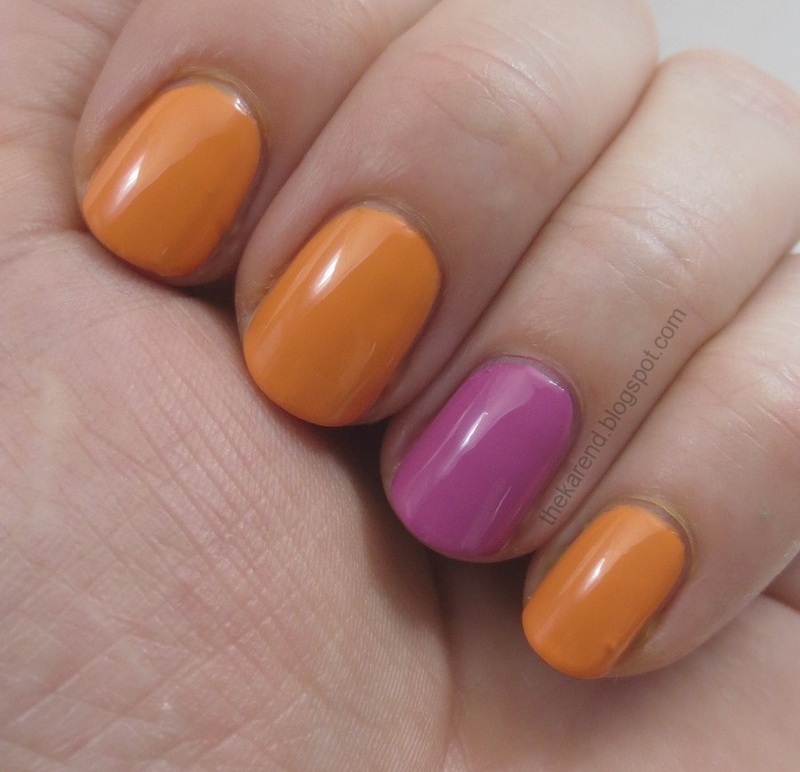 Fun colors to play with!! 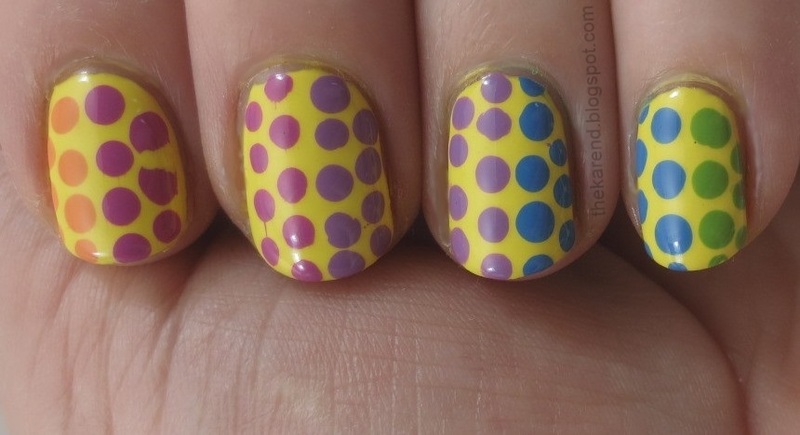 I really like how your dotticure looks! I definitely need this entire collection, they are all so pretty! !